This study on which this infographic is based was made possible by the Dutch Ministry of Foreign Affairs and UK Aid from the UK Government. The views expressed are those of the authors and do not necessarily reflect the positions or policies of the donors. 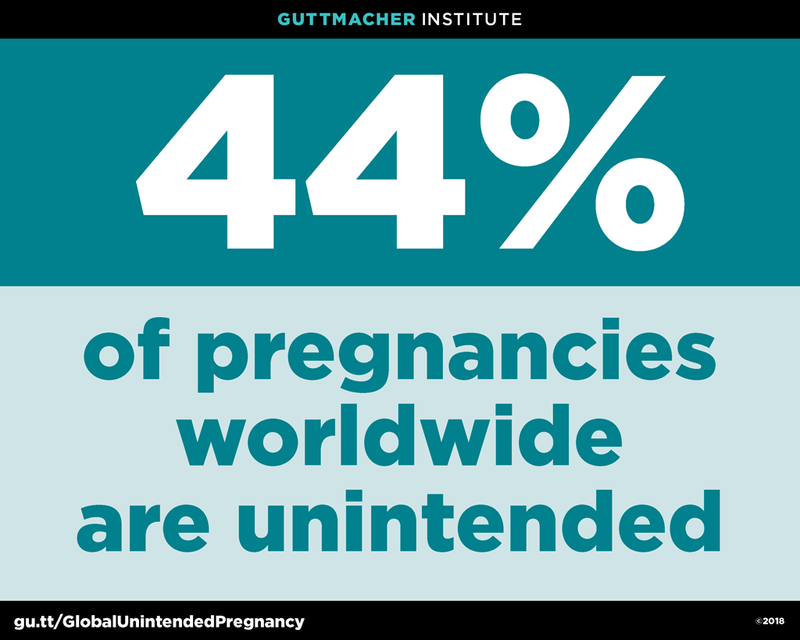 Bearak J et al., Global, Regional, and Subregional Trends in Unintended Pregnancy and Its Outcomes from 1990 to 2014: Estimates from a Bayesian Hierarchical Model, Lancet Global Health, 2018, 6(4):e380–e389.